I get the feeling that my car looks so familiar and old and it needs to be spiced up a bit. Before you think of modifying your vehicle, plan your budget first. You don’t want a half-baked car, do you? List down what modifications you want and check market prices, so you have an estimate of how much you are shelling out. So, here is a list that I put together on what I have decided to do for my car. Hopefully, by then end of the article, you will also gain some ideas on how to customize your car. This one is easy because there is no tint on my car windows. I thought that I wouldn’t need them, but when the sun is glaring I envy those who have a darker tint. I have decided to install medium tone because they are just the right darkness when it’s hot but not too dark that it would be difficult to see at night. My Kenwood sound system has great surround sound. However, I’m a driver who loves to play glaring music on long drives. I would love to install a subwoofer and a CD player. I have a collection of CDs at home that I would like to bring during long trips. I would like to purchase this subwoofer package that includes an amplifier which should blast great music. The floor mats in my car look faded and dirty. 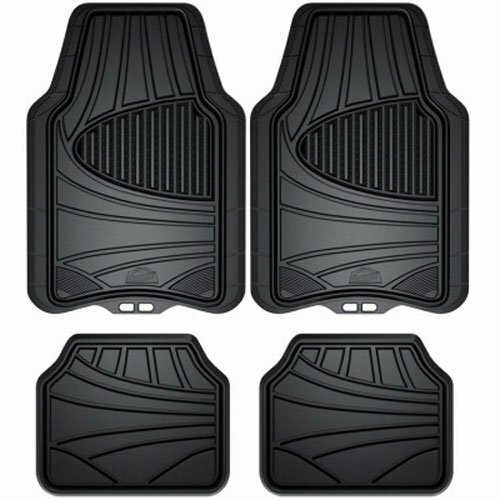 I found a great set of rubber floor mats that perfectly fit my car and look great. My pedals are almost worn out, and they seem kind of slippery to me, especially when I am not wearing sneakers. 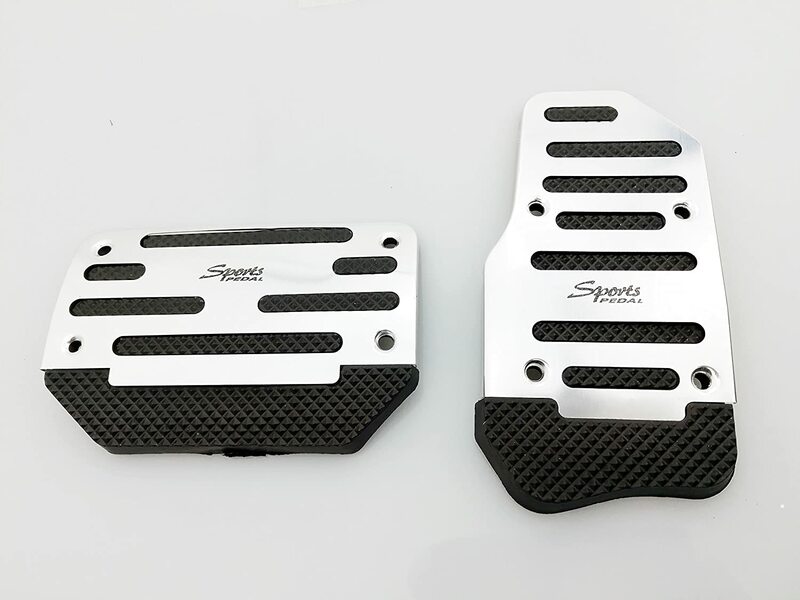 I found these non-slip aluminum alloy foot pedals that look amazing on my car. I like the look of a spoiler. Some people think it “spoils” the car’s image. I have decided to get one installed for my car to make it look trendy. I believe that it would make my car look almost brand new. I am not a fan of shiny chrome on cars, so I am opting for painted alloy rims for my car. I like the size of the wheels, so I don’t have plans of changing them. But, if you do plan to modify the wheels, keep in mind that oversized wheels are best for lowered cars. Should you decide to alter the size of the rims, make sure they are the same height as the original so your car’s bottom doesn’t scrape against concrete sidewalks or humps. Some states such as Texas, Vermont, North Dakota, New Jersey, Connecticut, Maine, and Montana allow cars to have vanity plates or customized license plates. I just want to have fancy-looking license plates with my license plate number, nothing too fancy with names or phrases. I plan to get some leather car seats so it’s easier to clean - just wipe them off with a damp rag and leather cleaner. I could also get some car seat covers for a more comfortable ride. 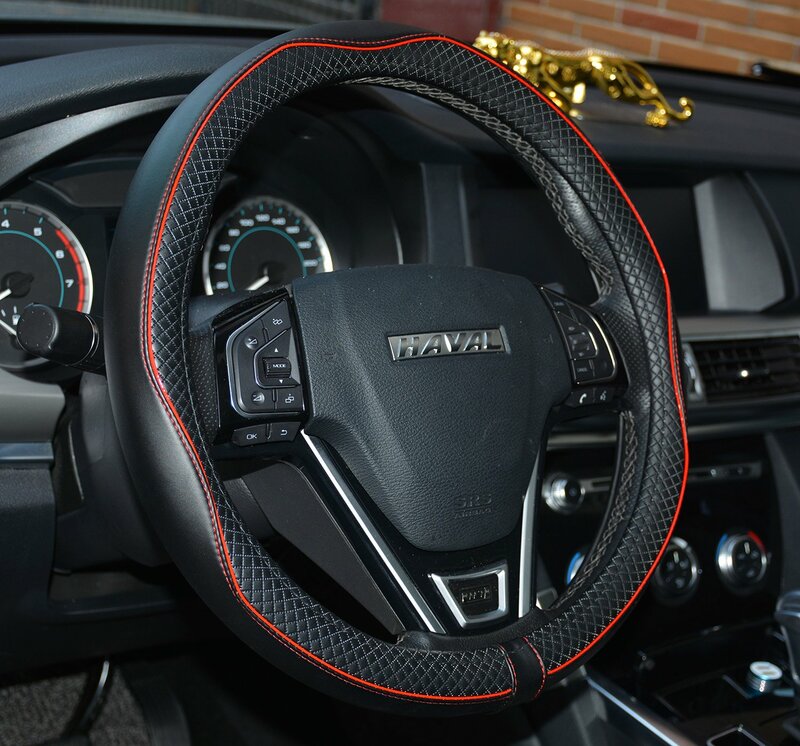 A steering wheel cover would look better than an ordinary steering wheel. I would go for a non-slip leather steering wheel cover to make steering more comfortable. I think I would like to have some decals painted on the hood and side of my car. My car is black, so red or silver decals would look great with it. I recently just had my car detailed so I don’t need an overall paint job. But, if you decided to get your car repainted, you can also opt for a matte color or a different shade. The items listed above are things that I wish to change on my car. However, there are still a lot that you can do to customize your car. Your modifications depend on what vehicle you have - if you own a truck, SUV, or sports car. You may choose to change the roof and hood to a lighter material. A lighter car is more fuel efficient and faster. You can also install a sunroof if you like riding with fresh air coming in from the outside. Add a c﻿ar alarm or a GPS system if your car does not have it yet. This helps prevent your car from theft. You can upgrade your engine to boost its performance and increase horsepower. However, it is best to consult with a professional mechanic on what is best for your car. Choose a performance exhaust that is not loud but adds horsepower to your ride. If it’s too loud, conversation is impossible, and it also drowns out sounds from the outside that you need to be aware of, such as honking, fire trucks sirens, or ambulance sirens. If you have a truck or sports car, changing the suspension is beneficial. Lowered cars increase traction, so these are best for sports cars. Trucks are usually lifted to increase off-road travel and for added durability. What other car modifications can you think of? Have you recently modified your vehicle? Share with us your stories and even photos of your car that you upgraded or are planning to upgrade. We’d love to hear your feedback, suggestions, and ideas, too. 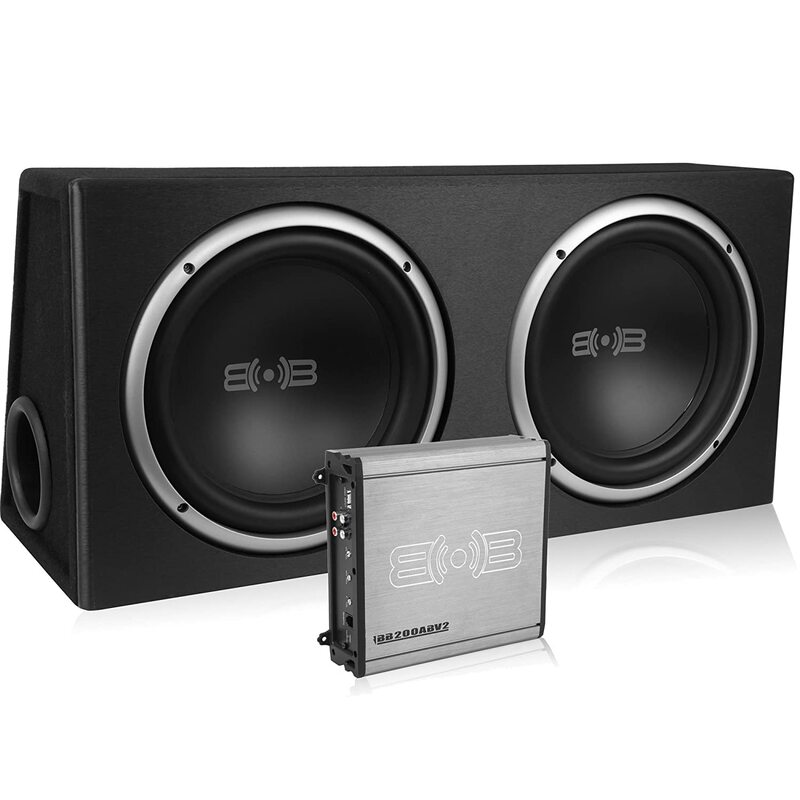 I love the idea of getting a really good sound system put into my car! However, I do have kids and so I think that a video installation would be a great thing to go along with that so that they can watch movies. This way, I can rock out to my music when I want to and they can be entertained when we’re on road trips.